A US supercarrier deployed to deter North Korea did not reach the Sea of Japan reportedly because White House and Pentagon failed to communicate effectively. 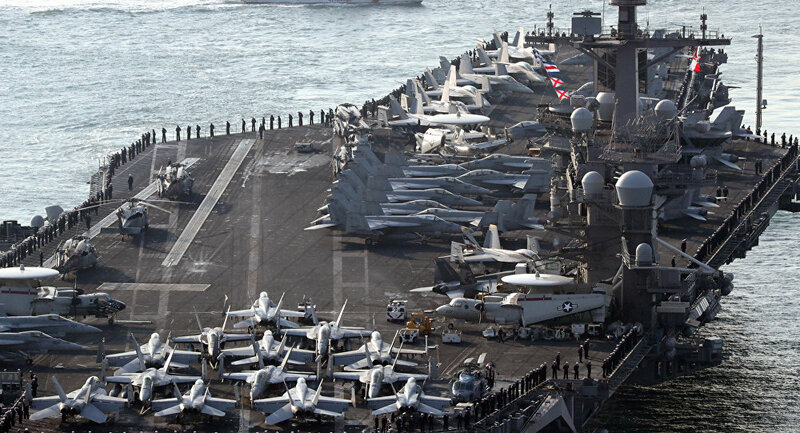 WASHINGTON (Sputnik) — A US supercarrier deployed by President Donald Trump to deter North Korea did not reach the Sea of Japan because White House and Department of Defense officials failed to communicate effectively, media reported. On April 15, a Navy photo showed the USS Carl Vinson south of its base in Singapore when it was supposed to be headed north towards North Korea per Trump’s orders. Trump said in an interview with FOX on April 9 that he dispatched the supercarrier the day prior to send a powerful message to Pyongyang. The error occurred because Trump's administration did not follow-up with commanders responsible for the movements of the carrier, CNN reported on Tuesday citing an unnamed senior administration official. The report added that, according to senior defense officials, a US carrier strike group would arrive near Korean waters by the end of the month. North Korea has carried out several nuclear and ballistic missile test launches this year in violation of UN resolutions. Last year, Pyongyang carried out two nuclear tests and conducted more than two dozen test launches using ballistic missile technology.